#1 Heating System Repair Company Fredericksburg, VA | Robert B. Payne, Inc.
What could be more frustrating than planning a warm Fredericksburg night inside during the winter season only to have your heater break down on you? Robert B. Payne, Inc. is here to fix your night along with your broken heater by offering professional heater repair for residences as well as commercial buildings. Our technicians are well-experienced and educated on the latest techniques and tools used to take care of heaters that refuse to live up to their names. A Broken Heater Leaving You Cold? There might be plenty of do-it-yourself books and websites out there dedicated to HVAC systems, but oftentimes your best bet is to allow an experienced and reputable technician to take care of the repair instead. You never know when you might be doing more harm than good to your system. While we encourage you to try to find the problem with your heater, we recommend giving us a call as soon as the mystery is solved. 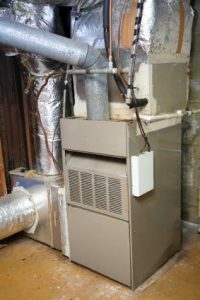 HVAC repairs can be dangerous for your home and family when done incorrectly. While you are here at the Robert B. Payne, Inc. website, feel free to fill out a request service form or a request estimate form if you would like an idea of how much your heater repair will cost. Call (540) 373-5876 the next time you have a broken heater or any other problems with your HVAC system.